CHOOSE UP TO 3 POOLS BY CHECKING THE BOX. Click Here to see what is included in each package price. Pools and Beyond supports our military and first responders and are so thankful for the sacrifices them and their families make daily. We are proud to offer discounts on our fiberglass shells to both active and retired military and first responders. The first responders include police officers, firefighters and paramedics. Please contact us for details. You are appreciated! 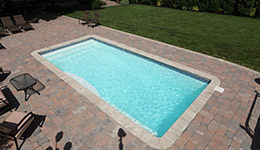 Destination Pools offers several specials for pool installs for the months of December and January. 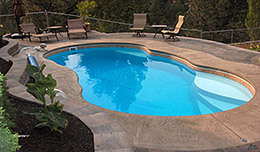 If you sign a contract for a winter installation date, we will offer you a FREE shell color upgrade on our fiberglass pools, a FREE additional foot of concrete surrounding the entire pool, and a FREE Pentair automatic cleaner! 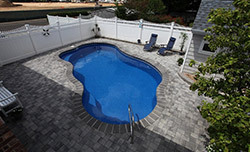 The specials total about $3,000 worth of savings on your pool installation! Call us today for more information!